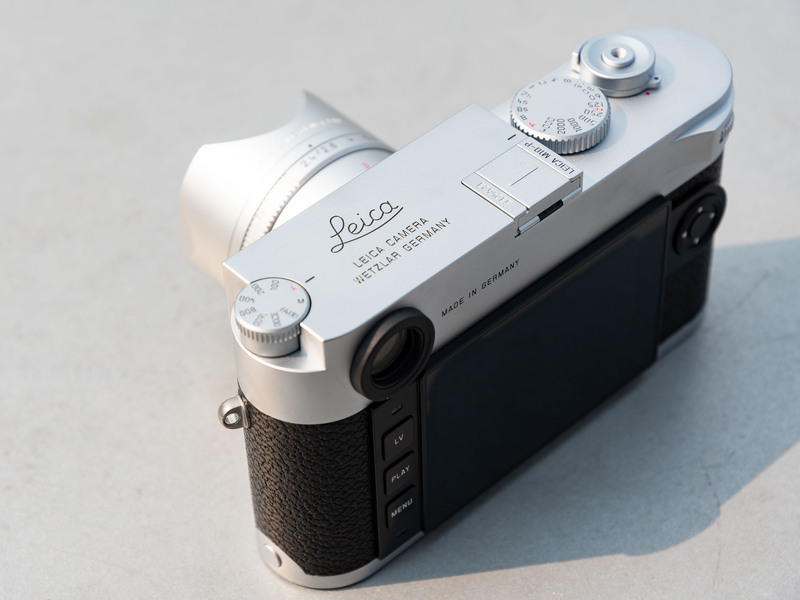 ‘Go unannounced’ is the tagline that Leica is using for the new M10-P, which has been introduced alongside the standard M10. The M10-P is built around the same 24MP full-frame CMOS sensor and Maestro II processor, but offers a slightly more discreet, quieter operational experience, with a couple of other neat additions. Let’s take a closer look at exactly what’s new (and what has stayed the same). Probably the most significant new feature is a touch-sensitive rear LCD. 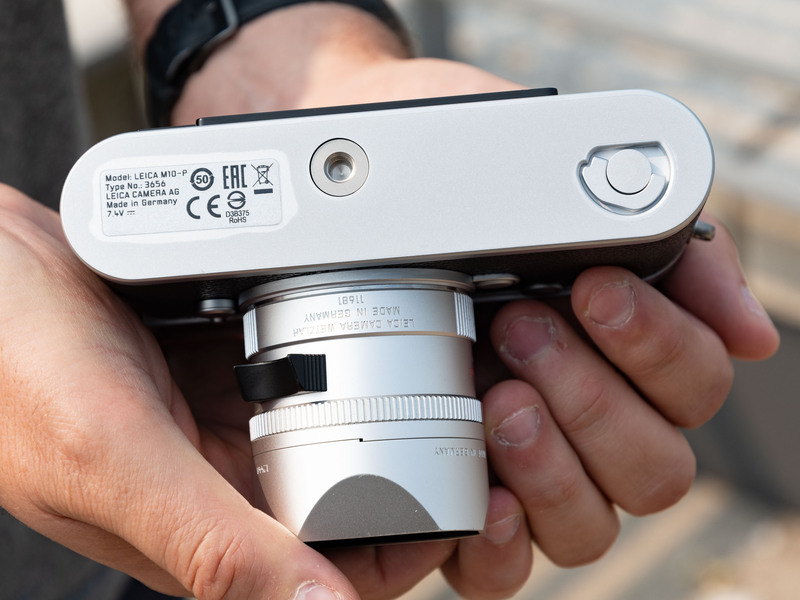 This makes it possible to quickly set the magnification point for accurate live view focus, and quickly zoom into (via a double-tap or a pinch motion) and flip through captured images, without using the 4-way controller on the right of the rear of the camera. 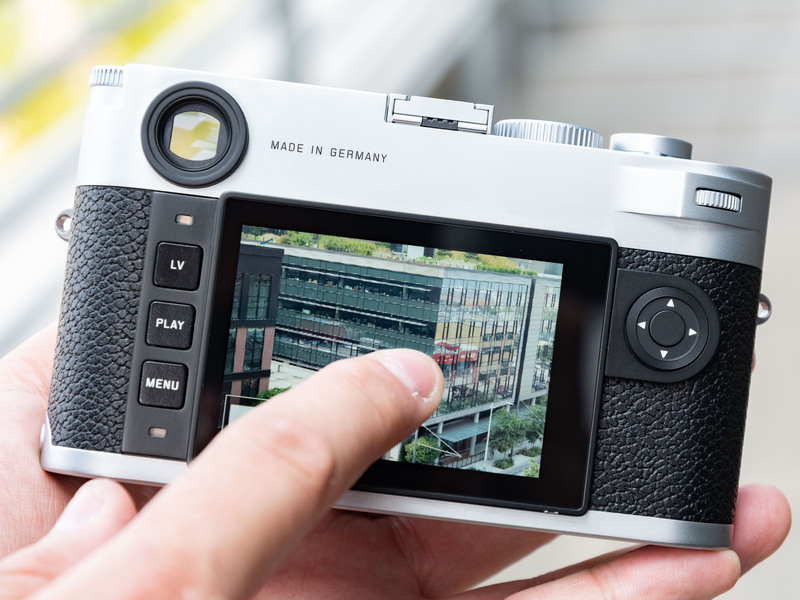 Leica has also added an digital level gauge to the M10-P in live view mode, for those times when the vertical and horizontal optical framelines aren’t quite enough. The screen itself is the same 1.04 million-dot, 3″ display that we’re familiar with from the M10. Another change compared to the standard M10 is the rear engraving to the right of the viewfinder, which now reads ‘Made in Germany’ as opposed to the more verbose ‘Leica Camera Wetzlar | Made in Germany’ on the M10. 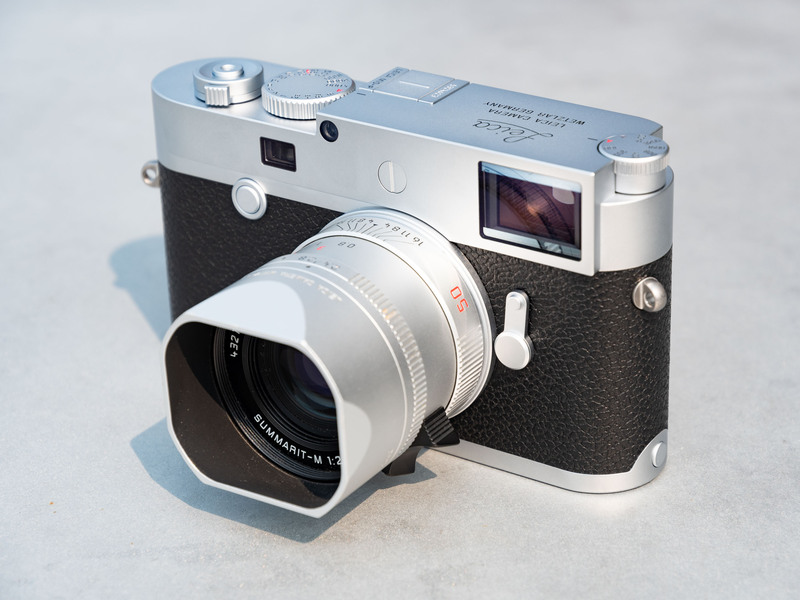 Well for starters, there’s the addition of Leica’s classic top-plate engraving, which is not offered on the M10. Does this make the M10-P more discreet? Well… most people would probably say no. In fact quite the opposite in our opinion, but it certainly looks pretty. Unarguably more discreet (and of some practical use) is the plain screw cover, where the red dot is normally to be found on the M10 and other standard non ‘P’ models. Underneath the slotted cover is a trim pot for the M10-P’s vertical rangefinder adjustment. It’s not uncommon for this to go out of alignment over time (or after a bump or two) and since it’s a relatively easy adjustment, a lot of experts will be pleased to have such easy access. 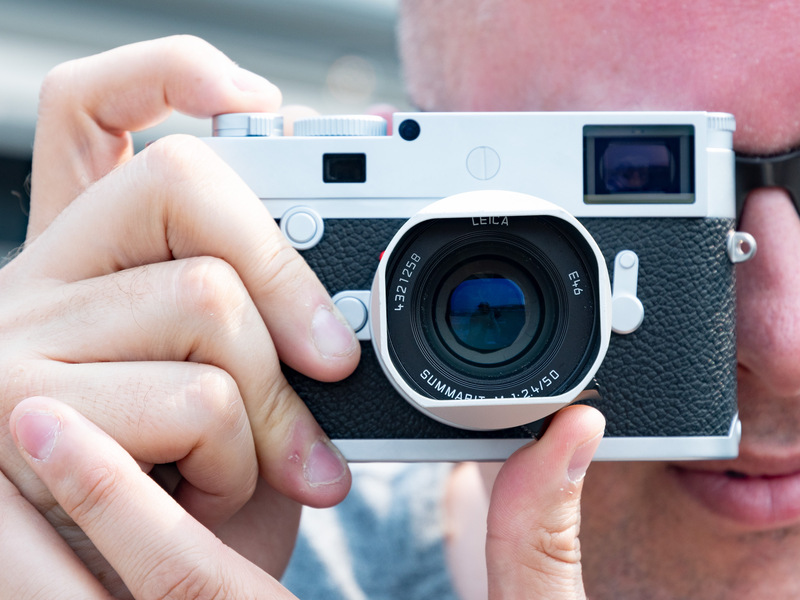 Will tinkering with the rangefinder alignment void your warrantee? That’s a little unclear. 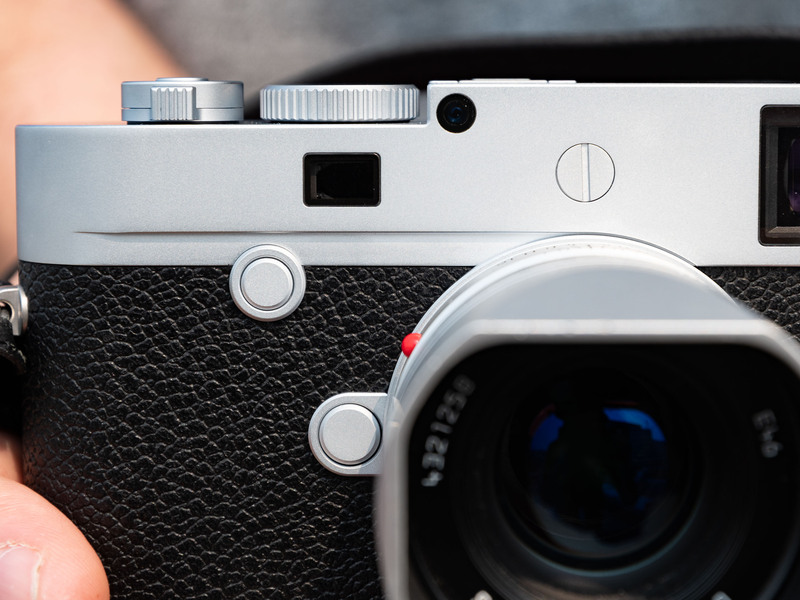 Our understanding from talking to Leica is that assuming the adjustment is done correctly, without any damage being caused to the camera, you should be fine. If in doubt, check. 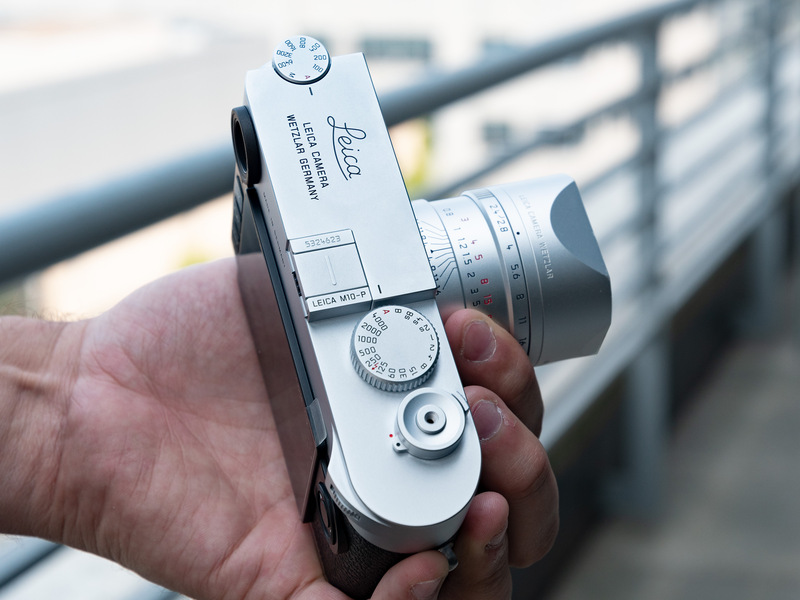 Here’s another view of the M10-P’s fancy top-plate engraving and matching metal hotshoe cover. The rest of the design elements and controls are identical to the standard M10. The M10-P shares a sensor with the standard M10, too. It’s a 24MP full-frame chip, with specially-designed microlenses to help mitigate corner vignetting with wide-angle lenses. On the upper left of the front of the M10-P is its single custom button, which can be set to manually magnify the image in live view mode, to help with accurate focusing. On the right is the frameline selector lever – also the same as the M10. The ‘P’ in ‘M10-P’ supposedly stands for ‘Press’ (although there is some debate about that) but one thing that working photojournalists probably won’t appreciate about Leica’s M-series digital models is the awkward card and battery loading, which still requires…. ….the complete removal of the baseplate. One small consolation (depending on how you look at it) is that the M10’s tripod socket is built into the camera, not the plate, as on some previous models. 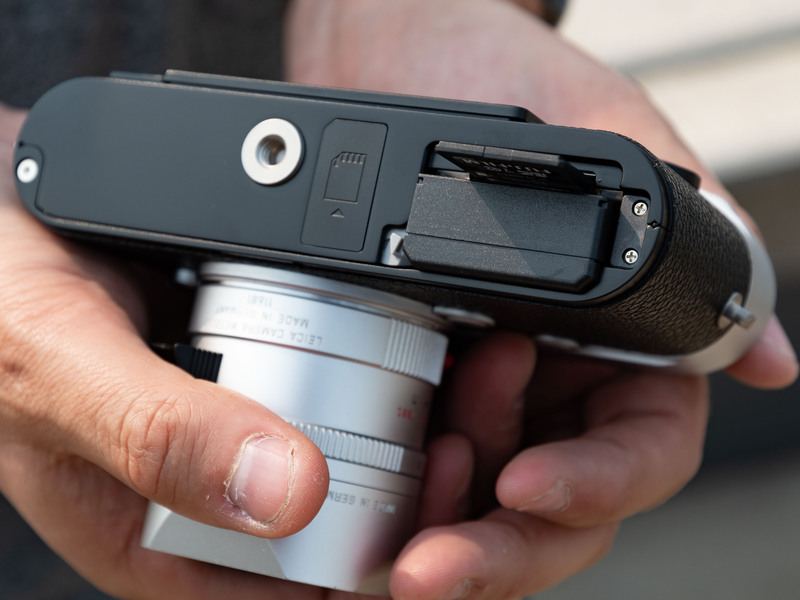 This should make it more secure, but the downside of course is that the card and battery compartments are entirely inaccessible when the M10-P is mounted to a tripod. Realistically though, the M10-P isn’t really a tripod camera. Rangefinders are arguably at their best shooting handheld street and candid scenes, and this is where the M10-P’s quieter shutter becomes especially useful. The M10’s shutter isn’t exactly loud, but the M10-P definitely shoots with a much quieter, more muffled ‘clump’ sound. 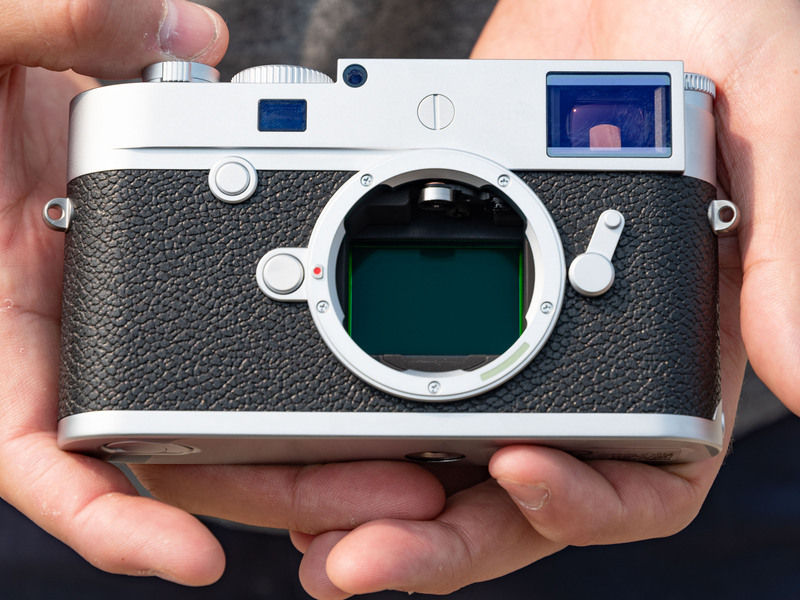 Leica calls the shutter sound a ‘mere whisper’, which is overselling it a bit, but side by side against a 1960s M2, we believe Leica when the company says that the M10-P has the quietest shutter of any M-series camera, film or digital. The M10-P is available now, at an MSRP of $7,995 – that’s $700 more than the standard M10.